Get involved: all that's missing is you! 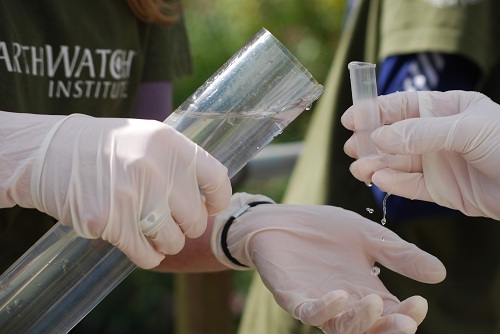 By taking part in FreshWater Watch, you become a citizen scientist playing an active role in scientific data gathering and join a global community working together to promote freshwater sustainability. take action on urgent issues. The research you do will primarily be around small water bodies, such as ponds, streams, brooks and ditches. Many of these are not being monitored by any scientific or community organisation, so our involvement helps cover new ground by collecting original data. With your help we can collect far more data than would be possible with one scientist alone. You also get scientific training and hear directly from scientists about the results of your work via the FreshWater Watch forums, webinars, blogs and annual reviews.